On a beautiful morning, I sit on the patio at the downtown Whole Foods, enjoying a Cuppa Joe. Suddenly, I look up . . . really, really, look up in to the eyes of a puppy named Jake. Without thinking, I rise up from my chair and am drawn to Jake’s side, reaching out to him and touching his soft furry coat. I naturally discover the next step . . . talking to him . . . sweetly talking to him. It doesn’t take long for Jake to draw a crowd. Early morning commuters, runners, and walkers gather around him. All gatherers are beaming the biggest and brightest of smiles. People, who prior to Jake’s arrival, sat alone in a self-imposed isolated world, are now living and thriving in Jake’s loving world. Jake’s doing nothing extraordinary. . . just naturally being himself . 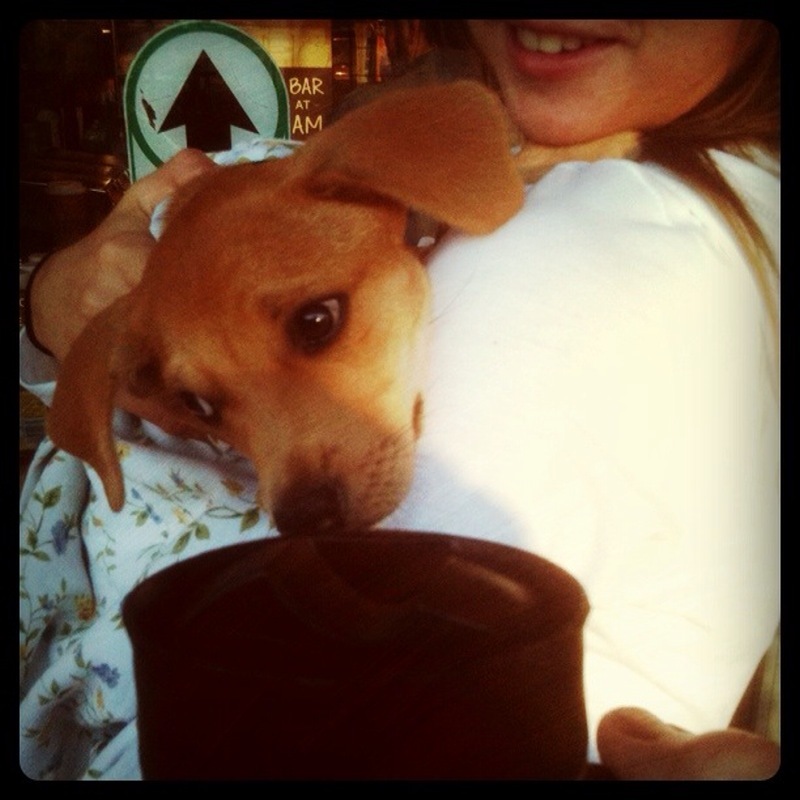 . . a cute, loving, adorable puppy wrapped in the arms of his owner of three days and basking in a world over-flowing with love. Yeah, Jake . . . a mighty powerful pup, demonstrating for we humans, the power in simply being naturally who we are . . . living and being at home on the playground of the heart. I hear no one asking how to do it . . . how to rise up in human consciousness. People like me are just naturally responding, following their hearts’ lead, and simply being moved into loving action, and demonstrating the higher human consciousness of love. Yes, thank you, dear Jake, Uplifter of Human Consciousness, for serving UP such a sweet reminder on how easy living and sharing love can be. but how much Love you put into the doing that matters. I look at the clock. I read the time . . . 3:55 AM. I must admit to you, believe it or not, I’m eager and ready to get up and begin the day. I do not wonder what to do first. I simply move into action, following my heart’s lead. And where does my heart lead me on this Monday morning? To the Austin Starbucks located at 5th and Lamar. I’m there . . . even before the store is open. I find a spot and prepare to create a street painting, directly outside one of the entrances to the store. I kneel, take a piece of chalk, and begin to outline a drawing. Ever wonder what a Cuppa Joe really looks like? Well, take a look at the picture posted above. To me that’s Cuppa Joe. For years . . . and I mean years . 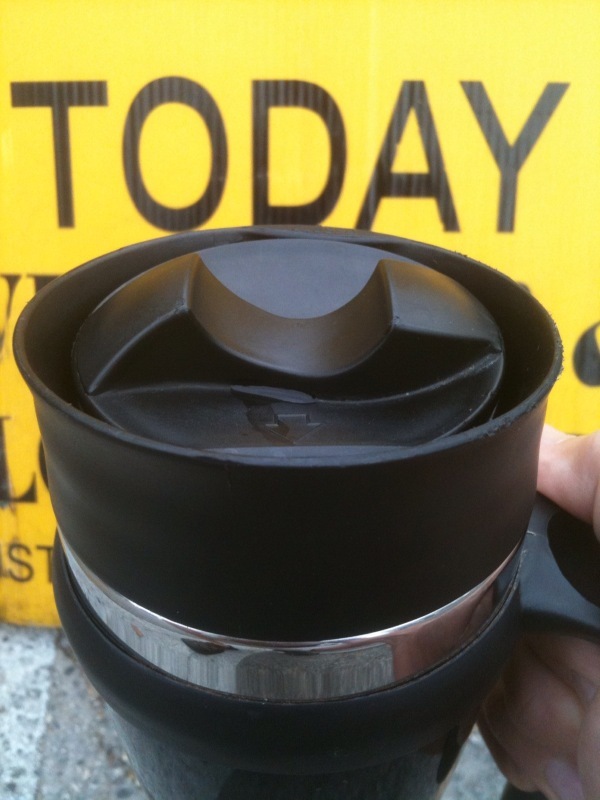 . . I’ve had this thing with a good, morning cup of coffee. It’s almost like a love affair. I’d sit and enjoy, savoring that first cup of joe . . . sip by sip. Usually as I sipped, I’d have a sheet of paper before me and pen in hand my hand, creating a sketch of my morning coffee buddy. As I sketched, I’d see my buddy’s face emerging on the paper, always so willing to share a good-morning smile with me. And so today . . . Cuppa Joe appears on the sidewalk at 5th and Lamar in downtown Austin, sharing a smile and a simple love note, not only for me, but for one and all who happen to pass by him. Yes, from my heart to your heart, World, via Cuppa Joe . . . Enjoy! Monday morning at 11:11AM, I kneel down . . .
Before me I see a blank canvas of life, awaiting a blessing of joy. You’d look at the same spot and say, that’s just a slab of concrete. Revealing to me today . . .
Playto, the Playosopher of Life at Loving U. The greater the joy in my heart becomes. Her young son, who appears to be around four years old. There is no return response from her. I turn around and continue shading Playto. I note over time . . . The young boy plays by himself on the playground equipment. The thirty-something years-old mother talks on her cell phone. The little boy plays by himself. The mother talks and talks and talks on her cell phone to someone who’s not present at Eilers Park. 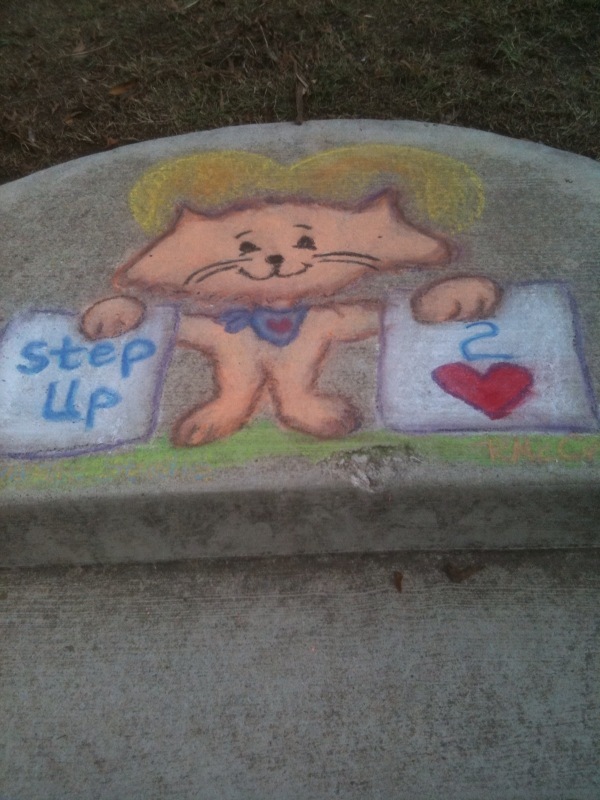 I look at the chalk drawing. I see Playto, holding two blank signs. I ponder for a brief moment what to write on them. I observe where I am, kneeling on the top step. And someone on the other end of a cell phone call . . .
How simple it can be . . . When paying attention to the details of life . . .
Friday morning at 10:45 . . . I’m cruising north on I-35, approaching downtown Austin. Suddenly the traffic slows down . . . way down. I note in the lane to my right a red car that has really slowed down and is creeping along. I see a white truck from behind quickly approaching the red car. The driver of the truck slams on his brakes and quickly swerves into the next lane, which happens to be directly in front of me. In response to his sudden braking and swerving, a black lab in the bed of the truck stands up. The lab cannot maintain its balance and suddenly careens out of the truck bed and on to I-35. Miraculously the dog lands between the moving wheels of a huge semi and is able to bounce up and get to the shoulder of the road. To me, this I-35 scene appears to be playing out in slow motion. As much as I want to roll down my window and grab hold of the lab, it’s simply not possible to do. Looking in my car’s rear view mirror, I can see the dog running along the shoulder of I-35. It’s eyes clearly focused on the white truck that continues to zig-zag from lane to lane. The driver of the truck is clearly unaware of the precious cargo he’s just lost. Me . . . I’m so deeply touched by the lab’s loyalty to its master. I ponder what to do. I know I cannot stop the car. I know there’s no way to go back. I recognize the one thing I can do is pray for the dog and keep my eyes focused ahead on the white truck. Every now and then I think I spot the truck; however, it becomes quite illusive to catch. Finally, I arrive beside a white truck, roll down my car’s window, and get the truck driver’s attention. I acknowledge how deeply troubled I am by this 1-35 Friday morning scene. Yet,I know all I can do at this time is . . . let go and let God. The more I try letting go, the more I want to hold on . . . hold on tightly to the judgments about the truck driver . . . and hold on to wanting to rescue the black lab. Both tasks, that because of intense I-35 road traffic, are not possible for me to accomplish. It hurts; boy, does it hurt. In just a matter of seconds, the black lab fell out of the truck bed and into my heart, triggering memories of my growing-up years and the dogs I so dearly loved and adored. Sandy, Rusty, Toby, and Mitzi . . . each one I so loved. As a young kid, they provided me with such warm companionship. Each of the dogs was in my life for such a brief period of time. I found the task of saying good-by to them to be so challenging . . . not only in the process of letting them go, but talking with my parents about my feelings. So, here I am years later, experiencing the wounding loss of a black lab that I only knew for a few brief moments. I’ve learned that when life presents me with scene like this there’s gold for me to discover . . . if I’m willing to slow down and discover the meaning in the life lesson being presented me. And as I question myself about what I observed take place . . . the one thing that jumps out at me is . . . the black lab’s loyalty to its master. And the truck driver’s erratic driving behavior, so focused on where he had to get up the road that he lost the precious cargo of love waiting for him in the bed of his truck. I see how in my own life . . . times when I have been so focused on getting up the road of life that I missed the love that was present for me to receive. And so today upon arriving home, I slow down. I say Yes to opening up to the I-35 scene that I’d just witnessed and its lessons for me. 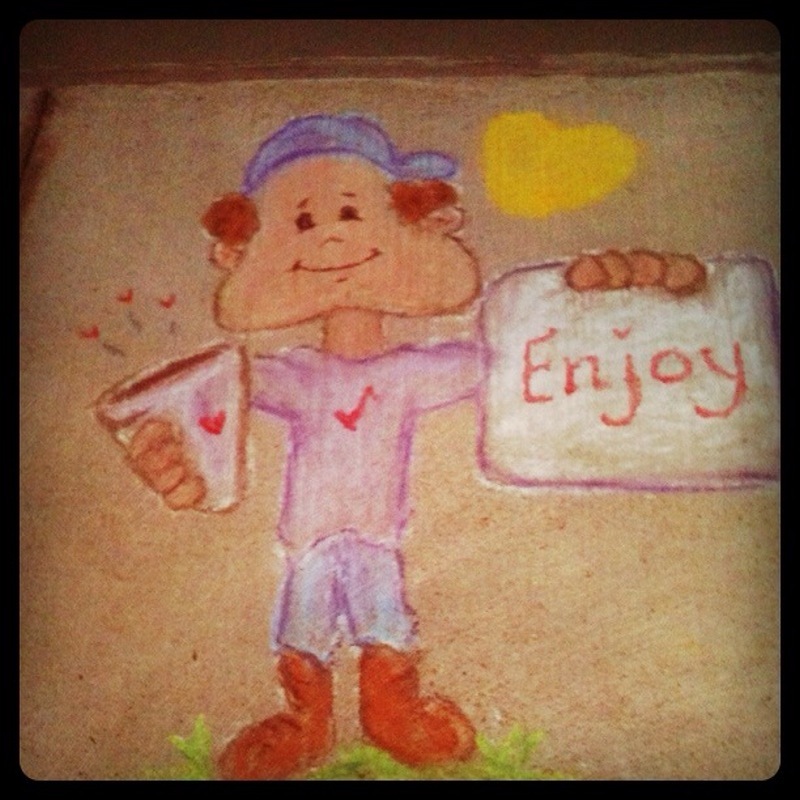 I sit with paper and chalk and simply allow my Cuppa Joe Pooch to show up with a message . . . a reminder for me. LOVE U is what life is all about. Yes, slowing down I am to the speed of loving. The phone is ringing. I answer the call. I hear the familiar voice of the Hospice volunteer director, checking on my availability to serve this evening as an 11th Hour Volunteer for a hospice patient who is actively dying. I say, yes and am given the patient’s East Austin nursing home location. It’s a facility I’ve not visited before, so I arrive early, park the car, and discover some challenges in entering the building. At 7 PM, it’s already locked down for the night. Finally, someone existing the building provides me with an open door. The facility is a hubbub of after-dinner activity. The odors in the building are pungent, and I observe that the building is in much need of repair. I continue onward, finding my way through the maze of residents, lining the hallway. 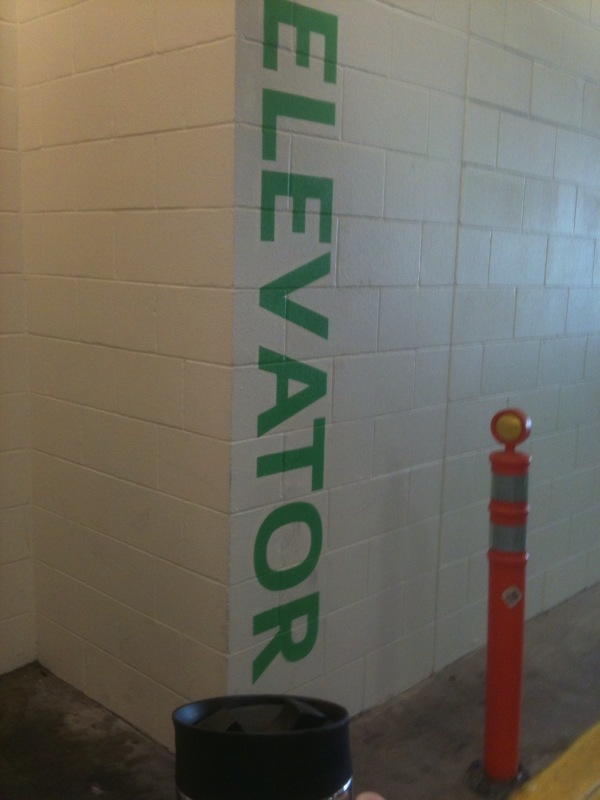 The room I’m looking for is on the second floor, so I proceed to the elevator. Once on the second floor, I figure finding room 2216 will be easy; it is once I get by the nurses station. Clearly the nurse who greets me is experiencing a challenging day. I ponder for a brief moment or two the question . . . What am I doing here? I continue onward, finding my way through my mind’s maze of doubting thoughts. The door to room 2216 is closed tightly. I knock and then enter. The patient, who’s in a coma, is surrounded by family members . . . a sister and some nieces. I introduce myself to the family. Then I step up to the patient’s bedside, introducing myself to her and letting her know how honored I am to be with her at this time. I listen to the conversation, the sharing of stories, relating fond memories of the patient’s life. After a short while, the patient’s daughter arrives. She’s greeted with warm hugs from her cousins and aunt. The soft sobbing sounds simply add to the barren room’s soft, peaceful, loving glow. The sharing of stories continue throughout the next hour. How blessed I feel to be privy to the dying-patient’s life story . . . a woman now 78 years old who clearly gave her life to the role of playing loving mother . . . not only to her birth children, but to nieces and nephews, and, up to the age of 68, to foster children, in particular, babies with special needs. The more I hear the about the patient’s life I become ever more consciously aware of Love’s peaceful presence in the room. I’m reminded of Rumi’s quote, Hear blessings dropping their blossoms around you. Clearly on this October evening in an East Austin nursing home, I am hearing the rich blessings of life’s Loving dropping their sweetest blossoms. Here I am in Austin, Texas . . .
Offering an early-morning Cuppa Joe toast to the new day. The building you see above is named Spring Condominiums. I honor the architect for his/her vision. I honor those who helped construct the building. I’m so grateful they kept their focus on building up . . .
And tear apart what had been done . . .
They’d make a course correction and keep their focus on building up, up, up, and up. Yeah, you can refer to me if you like as a hippie elder. I admit that back in the early ’70s . . . I let my curly locks grow and grow and grow. I uttered the cry, Make love, not war. I believe even more strongly in the power of Love. Lifting you and me into a higher perspective on life. A higher perspective on Love is not the story being told. Saluting with Cuppa Joe a building-up perspective on living life. And note his five-letter message to me . . . This message percolates deeply within my heart. How blessed I am to begin my day sitting outdoors on a gorgeous May morning, sipping on my Cuppa Joe. 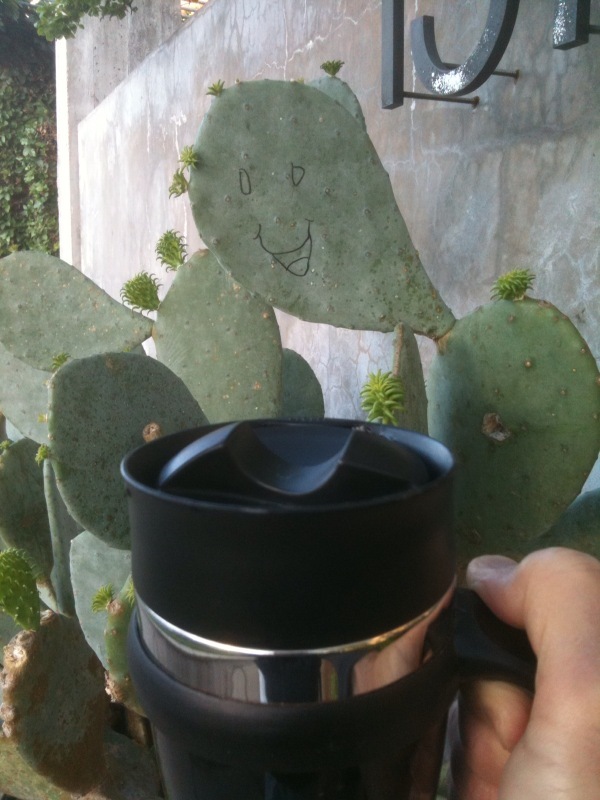 I lift up Cuppa Joe, as if toasting the new day, and suddenly become aware of a nearby cactus plant. I feel drawn to the plant, so I get up from the table and take a closer look at the cactus. The cactus plant is showing lots and lots of buds. One bud has burst already into full bloom. Another is edging ever more closely to bursting open and revealing its radiant colors. A third is a step or two behind. I stand in awe at nature’s work. Intermittent sips taken on Cuppa Joe are percolating some aha! moments for me. I’m grateful, oh so grateful, for taking some time to just stand and observe these neighborly three buds on one cactus plant, and listen to the story they are sharing with me, revealing some of life’s most basic, simple truths. Oh, my goodness! I say to myself, realizing how I’ve been pushing myself to bloom a business, thinking the way to make it happen was to push, push, push. Oh, my goodness! I say to myself a second time, recognizing how I’ve been looking at others and noting their business successes, ruthlessly comparing my budding business with their outwardly blooming radiant successes. 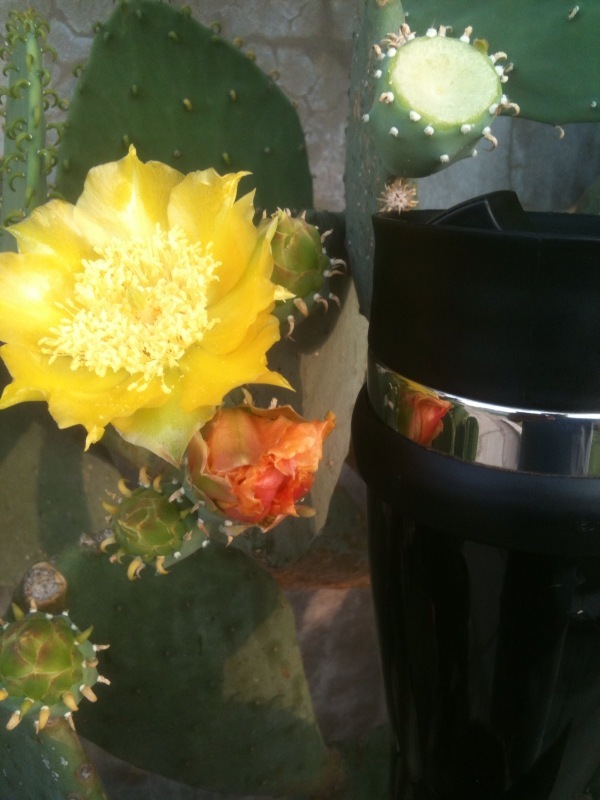 And, as I take into my heart nature’s cactus story, I realize the bottom-line message from my morning Cuppa Joe with three buds is to trust and believe and have the faith, naturally allowing the budding business of the Cuppa Joe Studio to become a radiantly-blooming success story! I’m here, sitting outside Juan Pelota Cafe, sipping on my Cuppa Joe. I’m pondering the news in an email I just read. Brad, a good friend from my days of living on Chicago’s north side, was placed in hospice care yesterday. He is nearing the end of his life. I realize that it’s been almost ten years since I’ve physically seen Brad. The paths of our life journeys simply took us different directions. Yet, I’m aware of a special bond with Brad that enabled us when our paths did cross, simply to begin right where we had left off . . . which happened to be in the loving spirit. We would simply greet each other with a smile and a hug and be immediately transported on to the playground of the heart. Through the years, Brad was there for me, reaching out when I was in need of receiving a helping hand. I always knew I cared for Brad, but I didn’t realize until this morning how deeply he resides in my heart. The distance I feel between Chicago and Austin seems so great. I so want to be there with Brad as he completes his life’s journey; and to be there for his family, supporting them. I take a sip from my Cuppa Joe. I see the twinkle in his magnificent baby-blue eyes. I see his smiling face. I feel as though I’m on an elevator, lifting myself from the doom-and-gloom into the heart’s joy. Suddenly, I’m so aware that the heart knows no distance. It simply knows, oh, so well, the Spirit of Loving. And riding upon the Spirit of Loving, I am with Brad at this time; and I am with Brad’s family supporting them. And so today I honor you, Brad, and your life; and I celebrate the brotherhood and unity of mankind. Yes, my Cuppa Joe is percolating an Ode to Joe, uplifting me, and I am singing in harmony with life. Today is my day to volunteer at Hospice Austin’s Christopher House. The table is set up with art supplies, so that I can draw Heart Blessings for HACH patients, caregivers, family members, staff, volunteers, or anybody who may show up. The area where I’m stationed appears to be very quiet. I sit patiently, drawing in the silence. A landscaper, working on the garden surrounding HACH, decides to take a break. We sit and engage in conversation. And then he leaves . . . and in just a few minutes, I look up into the eyes of a nine year-old Latino boy. It doesn’t take long for me to realize, he doesn’t speak much English. My Spanish is limited; although every now and then, I step back into my days at the University of Illinois and my experiences of studying Spanish for four semesters. I soon discover that although the young boy named Juan and I do not speak the same language . . . we willingly speak the language of the heart, openly communicating through smiles and the twinkling in our eyes. I sit and draw Juan a Blessing using his name. As I finish the drawing and present it to him, I note the spirit in his heart soaring as does the spirit in my heart. We sit and draw, or I should say . . . I draw and Juan sits intently by my side, quietly observing my every stroke with the pen. Suddenly the pens I’ve brought appear to be running out of ink. Oh, no! I think . . . what will I do? A good ol’ ballpoint pen serves me well. I draw with it, noting it has a fine point and doesn’t show up as well on the paper. I hesitate for a moment, and then go ahead, giving Juan the most recently-drawn Blessing to add it to his expanding stack of Blessings. He smiles and looks at me, picking up one of the pens I thought had gone dry. Juan uses it, tracing over the Heart Blessing I’ve just drawn for him. So patiently Juan traces each stroke. The stroke lines he makes are big, bold, and black. 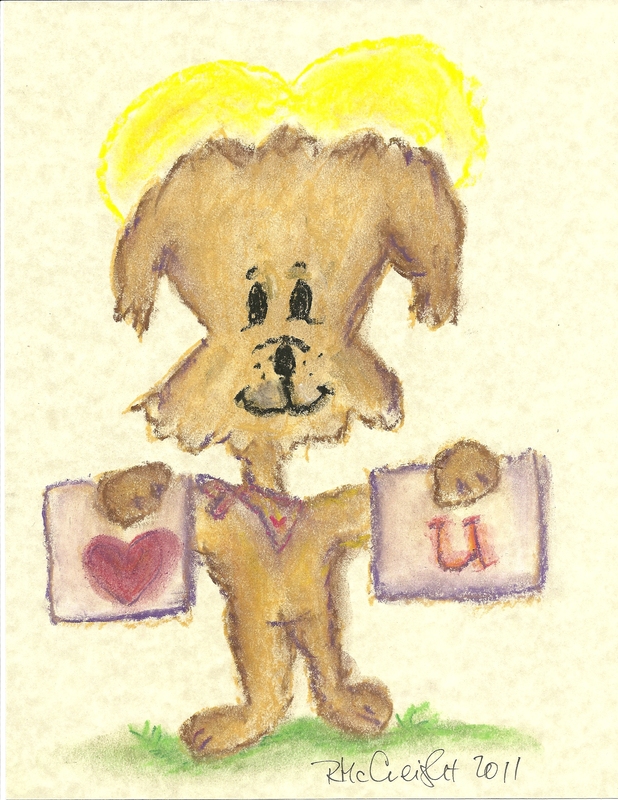 Miraculously the pen continues to work for him, card after card after card that we create together as an artistic team. Juan continues to sit by my side, quietly observing my every move. He’s here at Christopher House I discover with a family member, visiting a grandparent nearing the end of life. People pass by the table, perusing the Heart Blessings and engaging in conversation. Juan continues to sit at my side, smiling and beaming a heart light, dispelling the belief that it takes words to communicate effectively with another. A care-giving husband and his wife appear. She’s confined to a wheelchair and at times is challenged in her breathing. They stop and peruse the Heart Blessings. She picks up one, entitled, Believe. Her husband reads her the Blessing, tearing up as he does so. She looks into my eyes, and smiles. And so today . . . this very ordinary day, I discover in the midst of living a powerful message awaiting me. A message from Life, reminding me just how deeply I do believe. the sacred manuscript of Nature, which alone can enlighten the reader. 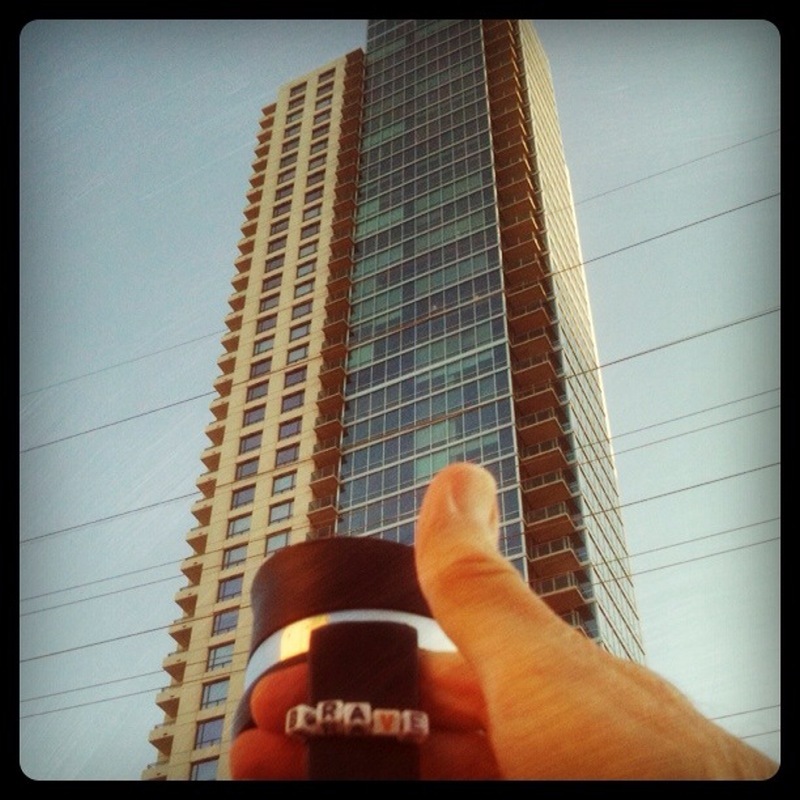 With a Barton Springs Pool early morning swim completed, Cuppa Joe and I begin our hike through some urban territory. We walk familiar terrain at a vigorous pace; eyes clearly focused on the sidewalk that lies before us. Suddenly, I feel an inner nudge to slow down and pause. Take yourself off automatic pilot and you enter a whole new world of wonders. I take a look around me, noting Nature’s road signs, pointing me to springtime growth. Well . . . you can see in the photo above what it is I see. Yes, new growth on a cactus plant plus the smiling face of an old-timer in the plant community! I can relate to the role of the old-timer . . . and especially to its smiling face that somehow has magically appeared, presenting to me a present. Yes, the gift, as I open it, has a subtle reminder for me . . . to smile with the changes of life and to embrace life’s abundance of opportunities for new growth. Ah, once upon time, when growing opportunities presented themselves, my immediate response was not to smile; but to take the learning very seriously, wearing a frown throughout the growing process. Yeah, I’d take learning rather seriously, retreating into myself, and painfully struggle through the process. 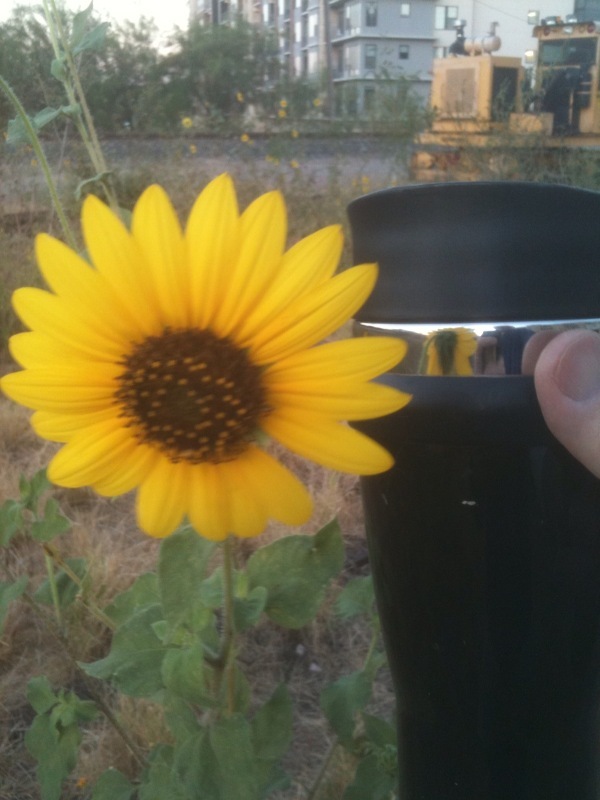 So today Cuppa Joe and I toast Nature and its masterful ways of enlightening its readers, people like you and me, willing to pause and take ourselves off of automatic pilot and enter the world of wonder!